SHERMAN OAKS, Calif. /California Newswire/ — Integrating homeowner’s insurance into the mortgage origination process is a relatively new idea – and one Matic CEO Aaron Schiff anticipates will gain traction in 2018. His firm expects small and mid-sized mortgage operations will follow the lead of several marquee lenders that added homeowner’s insurance to their origination workflows last year. Wider availability of cutting-edge digital capabilities like online bind will also make integrated homeowner’s insurance more attractive for lenders, Schiff says. Matic’s award-winning technology enables mortgage lenders to provide homebuyers with real-time homeowner’s insurance quotes from top-rated national carriers as part of their mortgage origination process. Matic also works with mortgage servicers to help existing homeowners lower their escrow payments by switching homeowner’s insurance. Because Matic technology pulls borrower and property data directly from the mortgage lender or servicer, home-buying consumers can avoid manually entering data or guessing how much coverage they need. 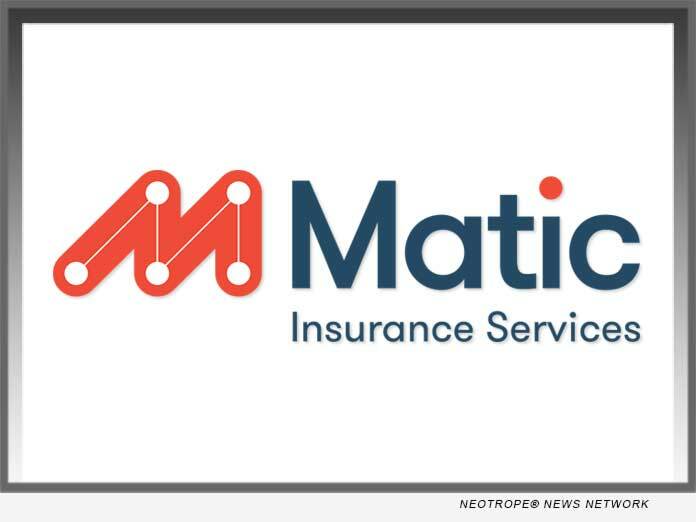 Matic’s 2017 milestones included earning the business of major mortgage lenders and servicers such as Freedom Mortgage and Mr. Cooper (formerly Nationstar) and establishing partnerships with more than a dozen of the nation’s top-rated insurance carriers, including Nationwide, Progressive and Safeco. Matic also completed significant integrations with premier providers of loan origination software (LOS) and self-service mortgage platforms like LendingQB, PCLender, Maxwell and Roostify. The company’s momentum also helped it attract considerable investor interest in 2017. In September, Matic was one of just six companies to advance to the final round of TechCrunch’s Startup Battlefield, the world’s pre-eminent startup showcase. Three months later, Matic closed a $7 million Series A funding round. Matic enters its fourth year of operation as the market leader in lender and servicer distribution of homeowner’s insurance. According to Schiff, the company will introduce new products in Q2 that will help lenders close more loans. Internally, Matic has set its sights on workplace inclusivity and is continuing to diversify its leadership team.